Make cooking easier and faster with the versatile Instant Pot® that’s seven kitchen appliances in one – enter and you could win one! 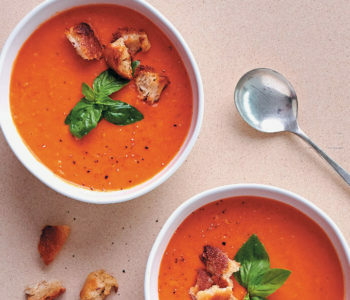 Cook this comfort-laden dish to perfection in an Instant Pot! Rub the lamb shanks with the olive oil and 4 crushed garlic cloves. Season well. Lay the shanks on a tray lined with 2 rosemary sprigs and 2 bay leaves. Top the shanks with 2 more rosemary sprigs and 2 more bay leaves, cover tightly with cling film and leave in the fridge overnight to marinate. When you are ready to cook the lamb, scrape the herbs and garlic off the shanks, and discard the herbs and garlic. Set the Instant Pot to Sauté on the High setting and add a splash of olive oil. When the pot is hot, brown the shanks in 2 batches on all sides, turning the meat as you go. Once brown, remove the shanks and set aside until needed. Drain off the fat from the Instant Pot bowl. Keep the Instant Pot set to Sauté and reduce the temperature to the Medium setting. Place the chopped onion, carrots and celery in the Instant Pot bowl and cook, 6 – 8 minutes, until softened. Stir occasionally. Add the tomato paste, the remaining 4 crushed garlic cloves and 4 bay leaves, and cook for about 1 minute. When the mixture starts to stick to the bottom of the Instant Pot, add the red wine and deglaze the bowl. Boil for about 6 minutes (still set to Sauté on Medium setting) until the wine has reduced by ¾. Add the tinned diced tomatoes and season to taste. Add the remaining 4 rosemary sprigs and the finely chopped parsley. 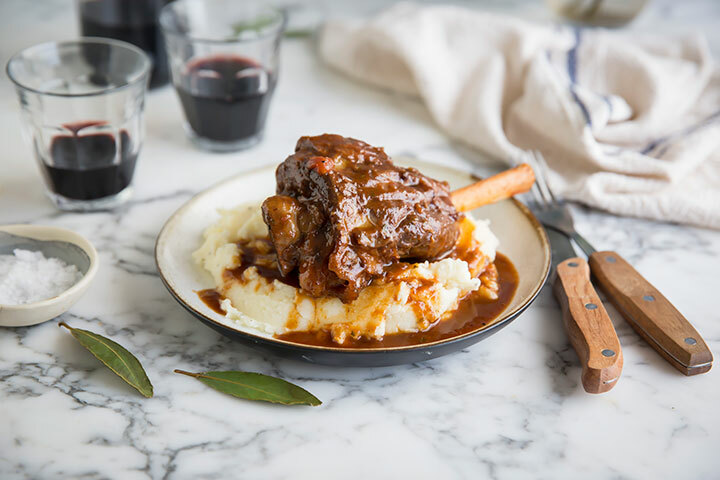 Return the browned lamb shanks to the Instant Pot, along with the lamb/beef stock. Arrange the shanks so they are submerged in the liquid as much as possible. Close and move the vent up to the Sealing position. Set the Instant Pot to Pressure Cook on high and set the timer for 50 minutes. (turn off the Keep Warm function). Once the cooking cycle is complete, allow a Natural Pressure Release (NPR), which will take about 20 minutes. You will know the pressure has released when the pressure valve has dropped. Remove the lamb shanks and set aside, covered with foil to keep them warm. Drain the liquid from the Instant Pot bowl into another large bowl, using a sieve. Squeeze out as much liquid as you can. As this cools a layer of fat will start forming on the surface of the liquid. Remove the layer of fat and pour the cooking juices back into the Instant Pot and set to Sauté on Low. Cook the juices down for 10 – 12 minutes until they have reduced and thickened slightly. To serve, pour the reduced gravy over the lamb shanks and serve with mashed potatoes and steamed greens alongside. Instant Pot® opens a world of culinary convenience which allows you to create exciting, healthy and delicious meals in less time! It’s a pressure cooker, slow cooker, rice cooker, steamer, sauté pan, warmer and yogurt maker in one convenient package. It’s no wonder then that Instant Pot is the world’s best-selling smart cooker. Instant Pot’s versatility allows you to cook healthy food fast. Your comfort stew, curry and even bean soup can now be ready in 30-40 minutes from start to finish – and without stirring or checking up. It replaces your sauté pan with three adjustable heat options for searing, browning or simmering. Its smart Pressure Cook functionality adjusts heat, pressure and time, according to ingredients. The fully automatic Rice programme sets the cooking time based on rice quantity. It converts to a slow cooker with low, medium and high settings. The Steam setting locks in maximum flavour and nutrients. The Yogurt programme pasteurises milk before making delicious fresh yogurt. The Keep Warm mode maintains food at the perfect temperature until you are ready to eat. 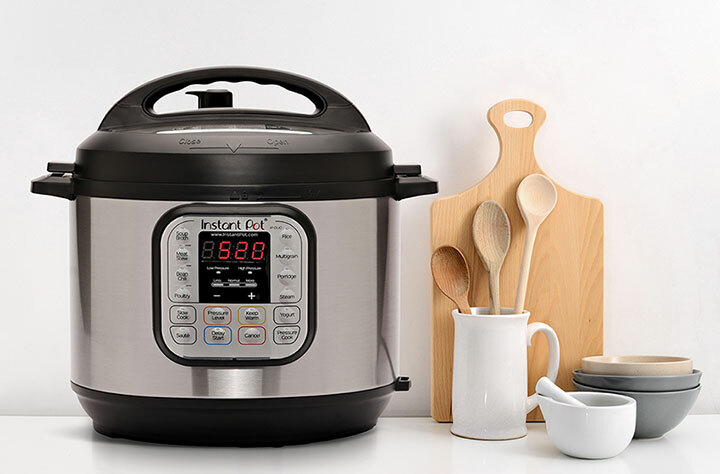 The key benefits of Instant Pot’s smart functions are the advanced microprocessor technology and built-in sensors that control a range of smart cooking programmes for perfect results every time. These easy-to-use, one-touch controls take the guesswork out of cooking and allow Instant Pot to remember and adapt to the way you cook. Now, your favourite dishes are as easy as pressing a button! Furthermore, Instant Pot is durable with a dishwasher-friendly, solid food-grade 18/8 stainless steel inner pot and steaming rack (no chemical coatings in sight). It also has 10 proven safety mechanisms. You can even enjoy an endless supply of inspiration and support from Instant Pot’s recipe-sharing communities. Visit InstantPotSA on Facebook and Instagram for more. Instant Pot is available for a recommended retail price of R2 199 at @Home stores and online at takealot.com. Stand a chance to win an Instant Pot worth R2 199! Answer the question below and complete the entry form to enter. Question: What is Instant Pot’s inner pot and steaming rack made from?